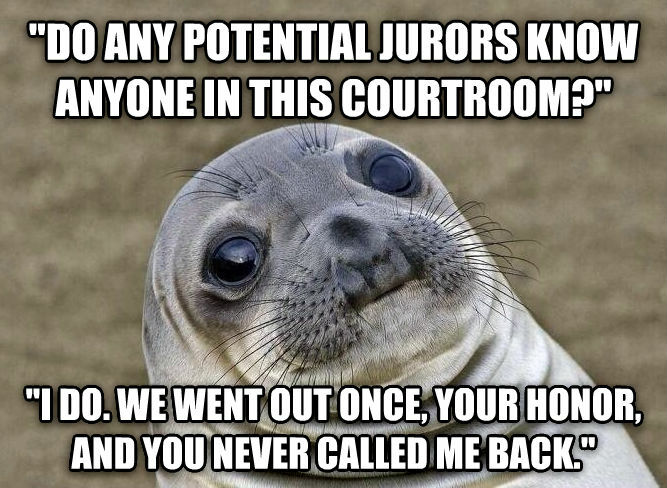 "do any potential jurors know anyone in this courtroom?" "i do. we went out once, your honor, and you never called me back."